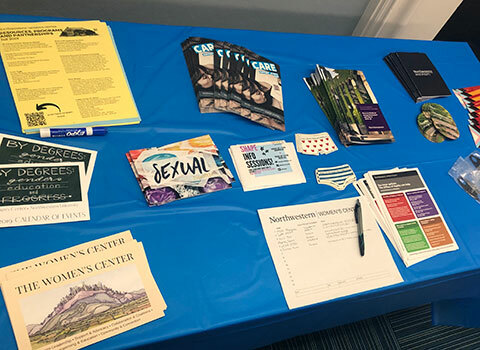 The Northwestern University Women's Center is dedicated to fostering a campus climate that promotes equity and enriches the personal, professional and academic lives of all members of the University community, particularly women students, staff and faculty. The mission of the Women's Center is a commitment to advancing women, gender equity and inclusion through engaging the Northwestern University community. As catalysts for change, we foster the development of individual and collective strengths to cultivate socially responsible students, staff and faculty. Charitable giving helps us fund outreach programs and services–donate now. Sign up for our newsletter and emails about events and programs. View upcoming events of interest, held both on- and off-campus.